Attorney General and FijiFirst General Secretary Aiyaz Sayed-Khaiyum stresses that no country in the world has ever progressed if you have chopping and changing of governments. 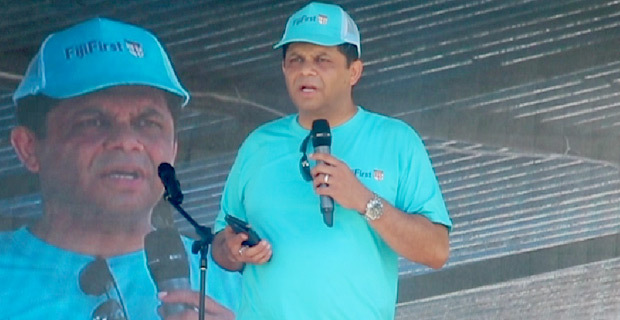 While speaking during a campaign meeting in Nausori, Sayed-Khaiyum says people should not cut the FijiFirst government’s path short as other parties will bring back the old policies. He says you need continuity of policies and consistency leads to stability and security. Sayed-Khaiyum says sometimes people forget where we were and what has happened. He says many people forget what Fiji was like in 2007. The FijiFirst General Secretary says many people forget that we did not have four lane roads, there was only one mobile phone company and the phone rates were so high, there was no free education, no farmers assistance the way they are being assisted today, no civil service pay rises, no disabled allowance and no assistance for fathers and mothers who are looking after the elderly.